Fabric Valance Plus Cellular Shades completes any window. This package features a custom fabric window valance and a cordless honeycomb shade in your choice of white or ivory. Each custom made fabric window valance comes with interchangeable components, the 10 inch main section, the 4 inch bottom color strip and a clear 1 inch bead trim on the bottom edge. Included is a child safe light filtering honeycomb shade custom made to your exact window size. 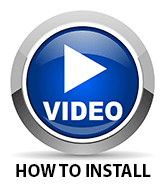 Fabric valance installation is fast & easy using hook and loop fasteners. 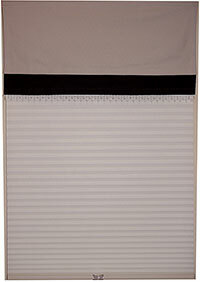 Personalize your valance by adding an optional 4 inch color strip or decorative flower in your choice of color. Treat yourself to something special Fabric Valance Plus only available at BlindsOnline.com. Mixing and matching shades and valances from different styles or stores is difficult. Making sure that the colors are complimentary, ensuring that materials being cut are consistently cut at the right side, and handling shipping is no longer a problem with our fabric valance and shades package. Blinds Online will take special care to ensure that your valances and cellular shades match your expectations of what a good window treatment can look like. Blinds Online is able to keep our prices on cellular shades with a valance low by combining the shipping and logistics process of two items into one. Our cheap blinds prices don't mean cheap products though! All of our blinds, shades, and valances come with a limited lifetime warranty to give you the peace of mind that you deserve to have when making an investment into your room decor. One of the main drivers behind the cordless cellular shade's rise in popularity is their tendency to be much safer for households with children. While corded blinds are perfectly fine for adults, when left unattended, a child or pet can be injured by the cords on traditional blinds. Blinds Online supports child safe window treatments by offering this combination as a cordless cellular shade. Keep your children safe by opting for cordless shades.